No matter how bad the weather gets, pupils and staff at Gatehouse Primary in Dawlish can enjoy the great outdoors thanks to Bovis Homes and their partners in a nearby development, Cavanna Homes. A joint project team put together by both housebuilders have constructed a new steel-framed extension, which means a large canopy now covers half of the reception class outdoor area. It allows reception lessons and playtime to take place outside, come rain or shine. Headteacher Angela Jeffery said that the children were thrilled with their new outdoor classroom. "We are delighted to have this covered outdoor classroom which means that the children can enjoy more space and fresh air every day," she said. "It will provide shade on a sunny day and shelter on a rainy day and an excellent opportunity for outdoor learning. It really is a lovely bright space that will give hours, days and months of fun." The Bovis Homes phase of the nearby development off Secmaton Lane is a 35-home neighbourhood called Nickleby Place and is set within a mature wooded and landscaped area. 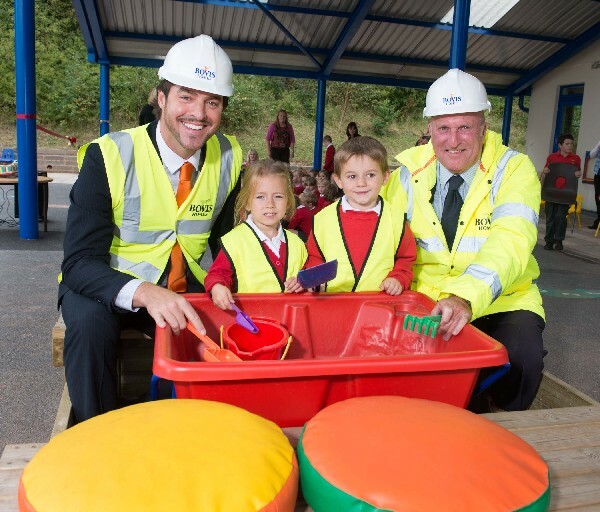 Bovis Homes Regional Sales Director Barry Cummins said: "After some time away from the county it is great to be back building quality new homes in Devon and working closely with communities to deliver projects that bring real benefit, like this one at Gatehouse School. "We're looking forward to developing closer ties with local people and teaming up with Cavanna to deliver some great homes that befit this wonderful location." Jamie Horton from Cavanna Homes said: "The weather proved very challenging at times but our builders have worked incredibly hard to deliver a really lovely all-weather outdoor classroom in time for the start of the new term." The Section 106 planning agreement linked to the development will contribute a total of £1million towards roads, public transport and other community improvements.